From our analyses, it appears there are “degrees” of prior settings that produce viable results, rather than just one setting of priors giving “good” results. For example, one of the criticisms that may arise regarding our approach is that one could argue that the priors are doing all of the work, especially in the presence of small groups (or classes). Because of the priors resembling a plausible parameter space, we are increasing the power to detect a small group in a dataset rather than completely constructing the group based on highly informative priors. The full paper is published and below I share the main results. We put all the relevant information needed to replicate our findings, including the systematic review data, all the R-scripts, Mplus code and, logbooks, the example data, and much more, on the Open Science Framework. PRISMA flow chart for our systematic search. 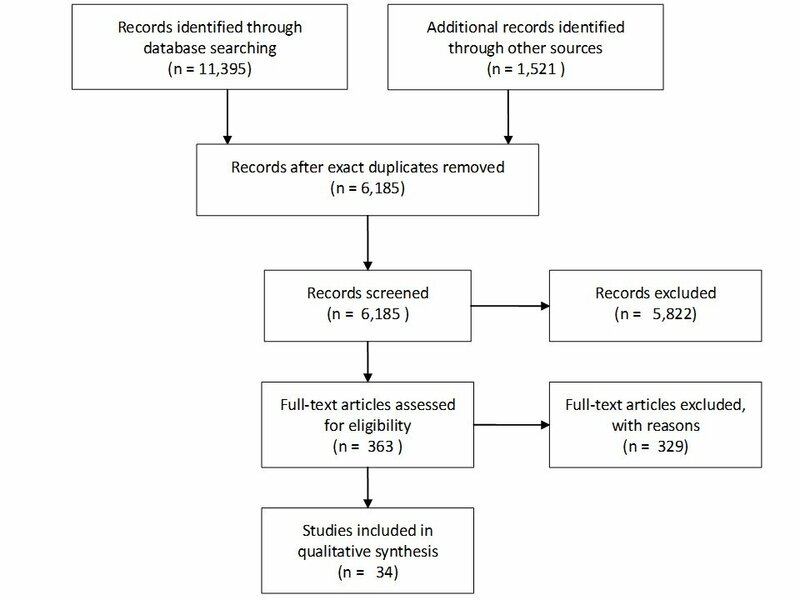 The search for articles using LGMM to study the development of PTSD focused on four major databases: Pubmed, Embase, PsychInfo, and Scopus; see Appendix B for details and an overview of the included PTSD-papers. 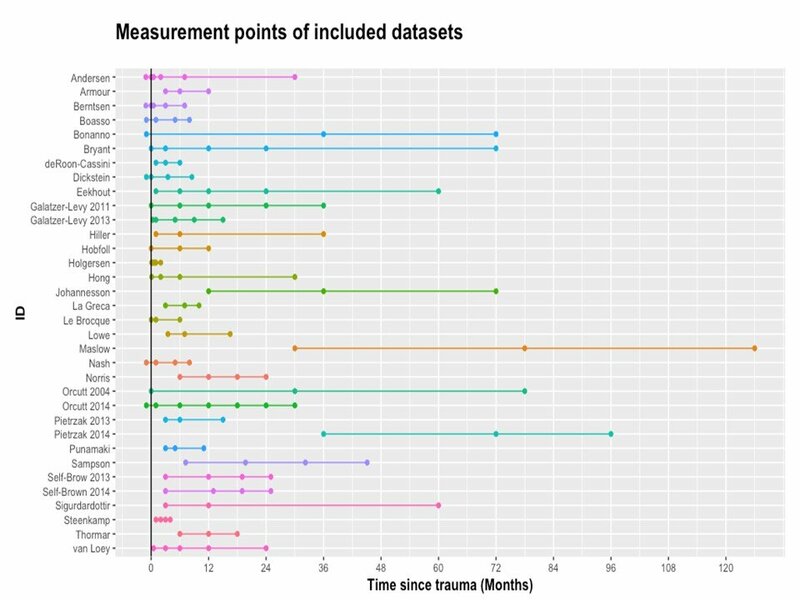 Overview of the included PTSD-studies including their measurement points. Visualization of the PTSD trajectories found in the 34 papers for each of the four ‘classical’ trajectories separately. It is important to note that the trajectories we included are rough approximations of the trajectories found in the papers identified through the systematic review. We used the findings obtained from the systematic search, as well as experts’ opinions to specify a plausible parameter space. Summary of the background information based on the expert elicitation during the ISTSS symposium about the trend line for the four ‘classical’ PTSD trajectories, thereby defining plausible parameter space. Parameter space as defined by the prior distributions. The bold lines represent the trend lines of the growth in PTSD symptoms based on the background information. The shaded areas represent the uncertainty around the average trend lines as specified in the prior distributions. In a sample comprised of burn patients, we illustrate how Bayesian estimation might overcome the limited data issue. 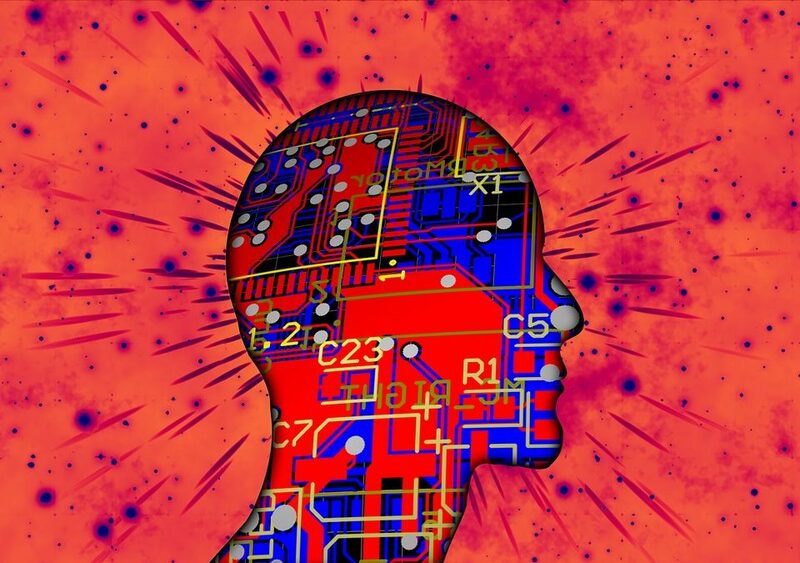 The data used in the current study were previously described by Van Loey et al. (2003) and include a multicenter cohort of patients with burns who were admitted to a burn center between. After specifying the statistical model and putting all of the priors in place, we estimated the model to inspect convergence according to the steps as described in the WAMBS-checklist. Graphical representation of the posterior results for the different models we fitted on the data. Observed individual trajectories per type of trajectory for the 4-class model including informative priors. To classify individuals in the four trajectories, we saved the plausible values. The resulting file was imported into SPSS and an average class membership was estimated. Most likely class membership was based on highest count. 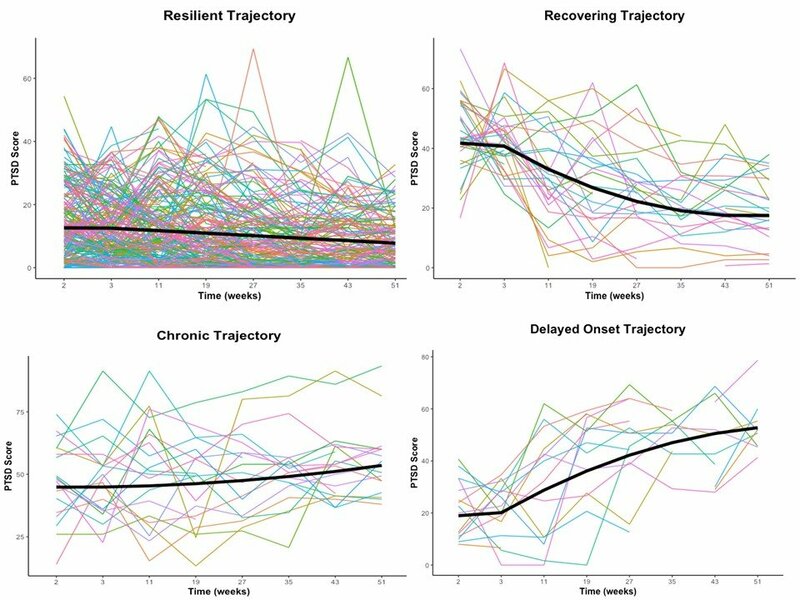 The results from the final model comprising the four trajectories support the leading opinion derived from the literature on PTSD trajectories and from experts in the field: In the aftermath of a traumatic event, a resilient, chronic, recovery, and delayed onset trajectory may appear. 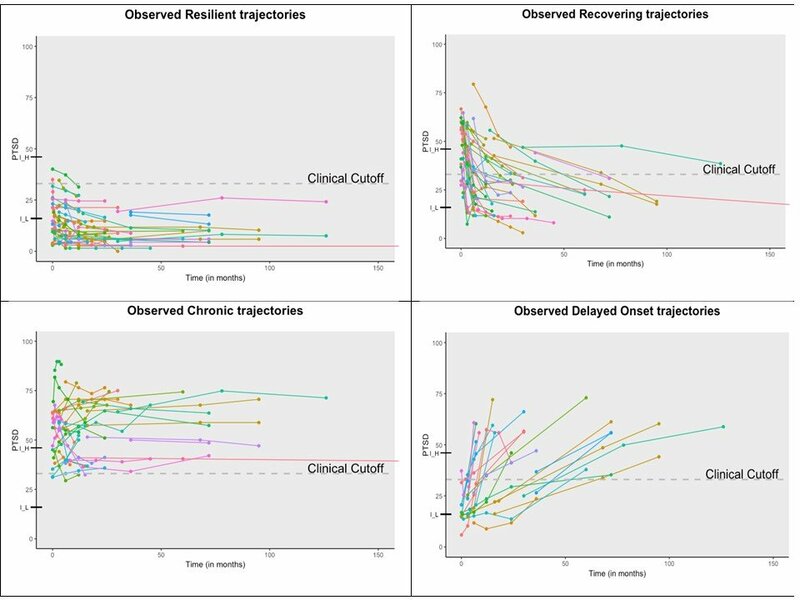 The final model was able to incorporate both the smaller and the larger sized trajectories, which is important considering their clinical relevance. 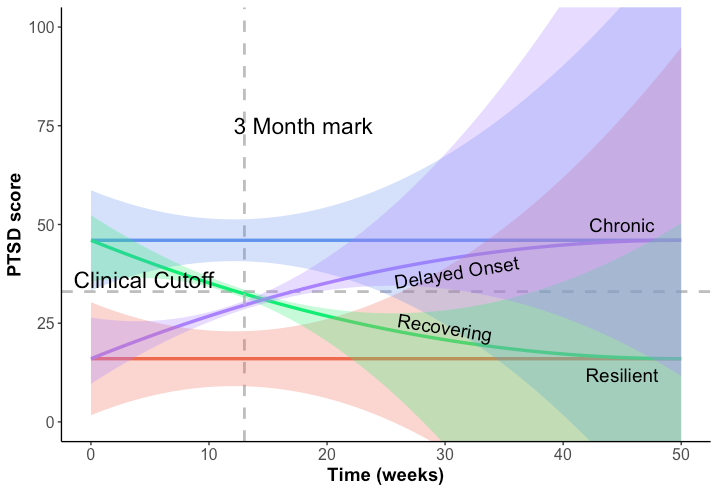 Particularly the small delayed onset trajectory may be overlooked in clinical practice. In particular, after the acute phase during the first weeks, trauma-exposed individuals may not be in touch with caregivers after the hospitalization phase. 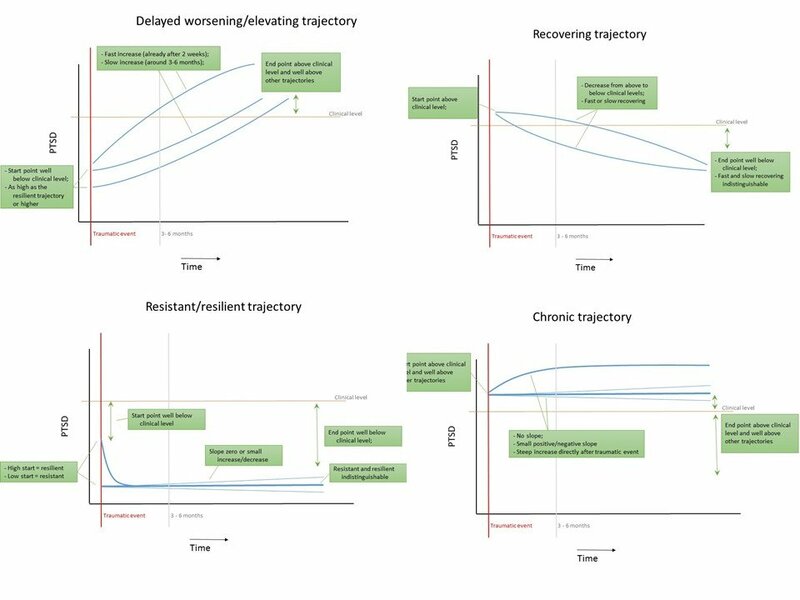 The awareness that small but clinically relevant trajectories may appear, even beyond the acute phase, may help clinicians to develop efficient follow-up/screening programs and to provide these individuals with help when indicated.